Dr. Florence started practicing the summer of 1995 following his graduation from dental school. He completed his undergraduate education at BYU Provo and attended dental school in Portland, Oregon at the Oregon Health Sciences University, where he graduated with high honots and received the Student Scholar Award from the Omicron Kappa Upsilon and Psi Omega dental fraternities. Dr. Florence is highly experienced and capable in virtually all of your dental needs. He has gained a reputation for being able to handle the toughest cases, and takes great pride in offering the most advanced treatment and dental care available. He looks forward to the opportunity of meeting you and helping you with your important dental needs. Dr. Florence loves working with scouts, fishing, camping, golfing, but most of all he enjoys spending time with his beautiful family. 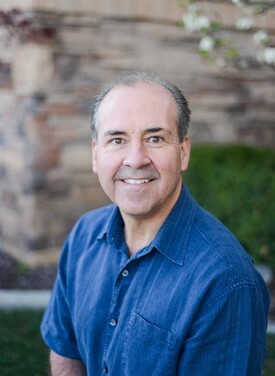 Dr. Powell grew up in Ogden, Utah. He attended dental school at Creighton University in Omaha, Nebraska. After dental school, he completed a General Practice Residency at the University of Utah Hospital. During his residency, he recieved advanced training in dentisty including: implant placement and restoration, wisdom tooth extraction, molar endodontics, fixed and removable prosthodontics, and periodontology. He also received a certificate in IV Sedation. 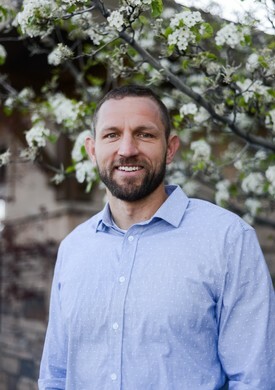 Prior to dental school, he completed his undergraduate studies at Weber State University receiving a Bachelor of Integrated Studies in Nutrition, Exercise Science, and Chemistry. In his spare time he loves to stay active. He enjoys tennis, snow skiing, softball, water skiing, and racquetball. He has a great love for the outdoors. More than anything, Dr. Powell loves to spend time with his wife and four daughters. The most satisfying part of dentistry for Dr. Powell is getting to know his patients and their families. He takes great pride in treating them as if they were his own family.